View the films below to discover the astounding capabilities of the imagePROGRAF PRO-1000 and top photographer and Canon Explorer Clive Booth explains how his photography is brought to life by producing beautiful prints with big impact. Quite simply, as Clive Booth says, "there's a magic in ink on paper." Enjoy the ability to print striking, borderless images up to A2 without compromising quality. 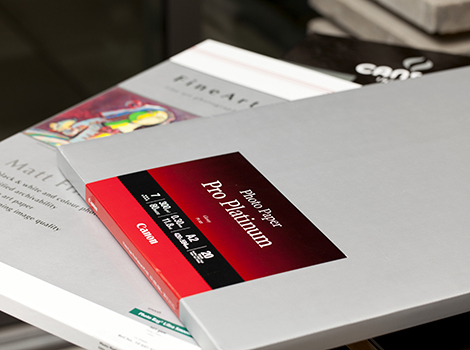 Take advantage of fast print speeds and colour accuracy: with a variety of media types supported – from gloss, matte, fine art papers and canvas – you’re guaranteed to get the look and feel you desire. 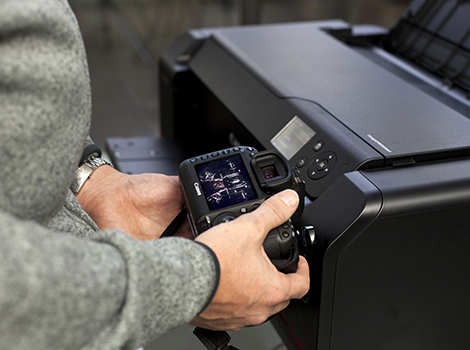 With a new LUCIA PRO 12-ink system your images will be faithfully reproduced in print. A newly developed micro capsuled material for LUCIA PRO ink achieves higher levels of colour, with a broader colour gamut and more detail than before. A wide dynamic range of colours and detail in darker areas will help capture all the subtleties of your photography, from 4x6” prints right up to A2. You can produce fantastic black & white prints with neutral tones thanks to the LUCIA PRO ink system’s four dedicated monochrome inks – photo black, matt black, grey and photo grey. 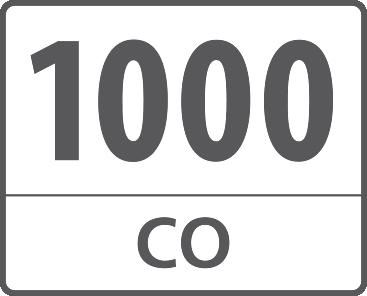 The imagePROGRAF PRO-1000 printer inherits the red line from the EOS series – a symbol of exceptional quality. With a professional and functional design this desktop model is sure to inspire professional and amateur photographers alike. It features a rigid chassis to ensure accurate ink ejection and an additional manual feed tray lets you work with heavier paper types. 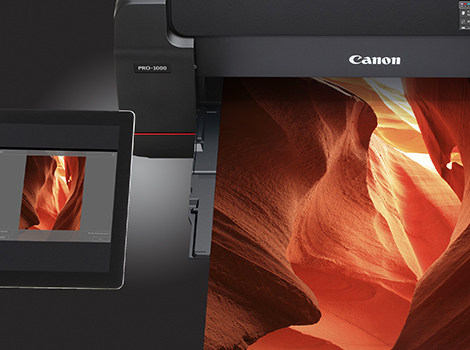 Canon’s Print Studio Pro plug-in features a new screen layout that makes it easier for you to adjust the printer, paper, layout and colour settings to help deliver the best quality prints. You can create favourite settings that you feel comfortable with and come back to them time and time again. Colour management is easier than ever, with a simple box to allow ICC profile selection, rendering intent and a brand new feature to enable soft proofing. 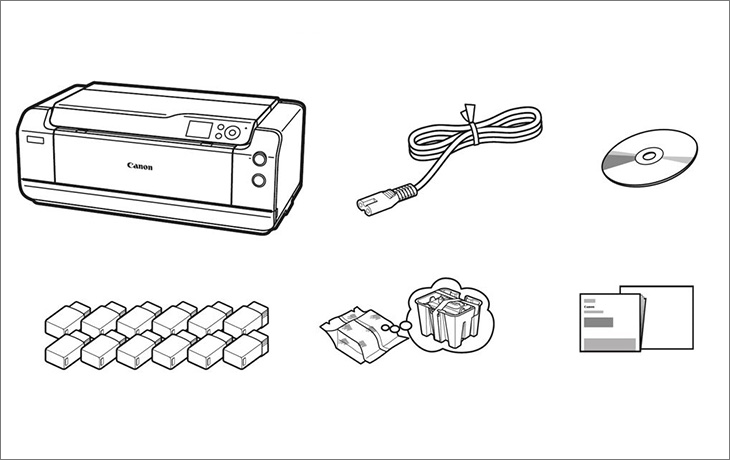 Expert, in-depth coverage: discover all you need to know about the astonishing Canon printer range. 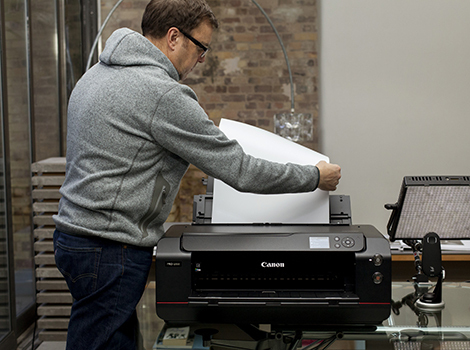 Click through to find out your nearest authorised Canon centre for Canon printer service and support.